This is the second post of a four-part series based on the WSJ-D.Live event, looking at how AI is the next big thing in tech. 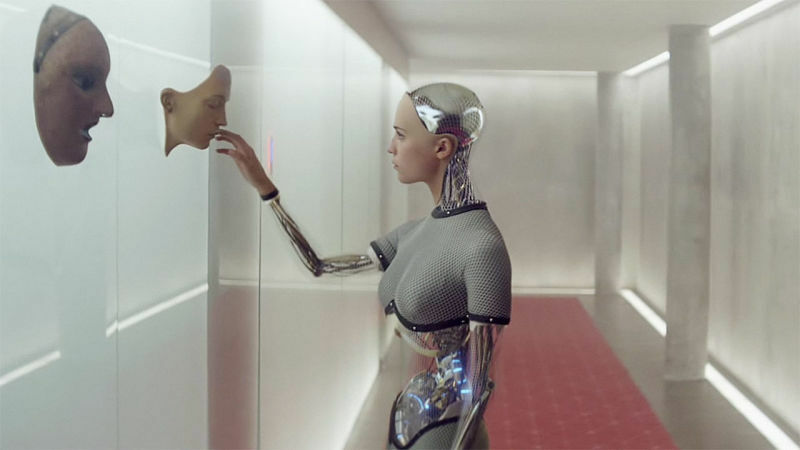 It seems that every large technology company currently has or needs an AI narrative. 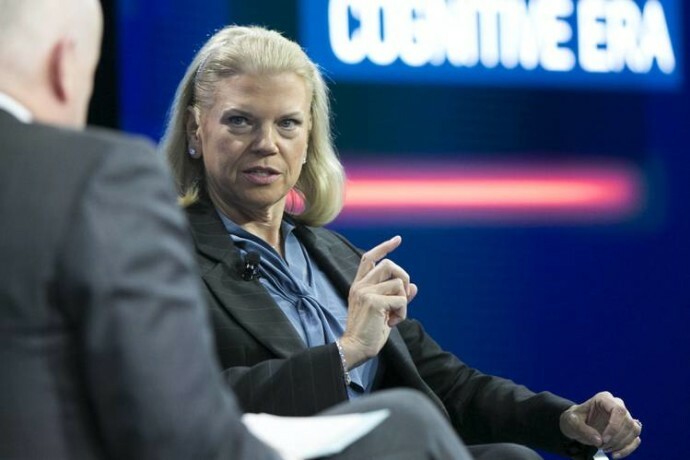 AI was the most mentioned topic at the event, cited by Marc Benioff, CEO of Salesforce, IBM Chief Executive Virginia Rometty, Facebook’s COO Sheryl Sandberg and Satya Nadella, CEO of Microsoft among others. 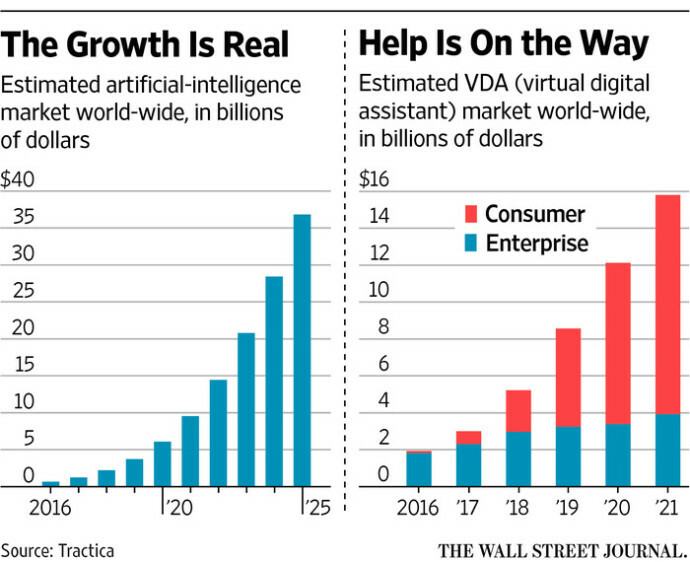 IBM talked about Watson, predicting it will see 8 billion users by 2018. At the moment, some of the most interesting applications seem to be in healthcare. With Watson, doctors, researchers, and pharma companies have the capacity to sift through thousands of research documents in real time to find new cures through a worldview analysis of all clinical trials that have been published – something so time consuming that it is currently not possible to do. As Amazon Web Services CEO Andy Jassy noted, the combination of AI technology with cloud based solutions reduces the cost of doing this computing and so continues to make it more accessible to companies such as Novartis. This captured my attention, as we have been working with messaging chatbots and also with healthcare companies to create new products. We also see the medical industry as one that can benefit hugely from the assistance of AI. As the algorithms we develop advance, so will the corresponding accuracy of our predictions. Coupled with the increasing availability of open medical and biological datasets, this lends serious credence to the plausibility of chatbots undertaking far more significant medical applications in the future. Given the remarkable success of even the most rudimentary algorithms in the applications of disease prediction, prevention, and drug synthesis, this could very well provide a viable alternative to traditional medical diagnostics, at least for ailments requiring non-invasive exploratory analysis. In fact, this is already starting to occur – and with promising results too (take a look at Your.MD, for instance). AI will also give companies greater ability to unlock data. Satya Nadella talked about a research project called Premonition which he thinks will probably take Microsoft four to five years to complete. The idea is to create an early-warning system for pandemics and epidemic breakouts. Being able to apply machine-learning capability, image-recognition capability, analytics capability, autonomous drones to create a system that improves health will signal great progress in the industry.